Your credit score and debt to income ratio are the two key facts lenders use in the mortgage loan process. These two items are the primary factors to qualify someone for a home mortgage loan. In some cases, a good credit score may offset some “close” calls on the debt to income ratio for some borrowers. A credit score is a numerical value based on the analysis of a person’s credit history. The credit score rating ranks the credit worthiness of the person wanting to borrow money. Credit scores use credit information received from credit bureaus. Three primary agencies report credit scores to lenders; Equifax, Experian, and Transunion. Often times these agency credit scores varies from one another. Credit scores range from 300 to 850. A 850 credit score is the highest. Lenders will have different credit scores tailored to their line of business. Mortgage lenders consider excellent credit score to be at 720 or higher. However, a credit score in the mid to upper 600’s may qualify for a home loan with specific circumstances. Here is a quick video with 5 Credit Tips to prepare you for your mortgage loan process. The Arizona Real Estate Purchase Contract includes a Pre-Qualification form. Pre-qualification is the initial step in getting a mortgage. The potential mortgage lender wants to know the overall picture of your financial situation. 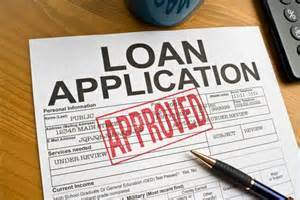 To be pre-qualified for a home loan, a lender will want information regarding income, assets and any debt. A pre-qualification form must be included with an “offer to purchase” that is given to the seller when buying a home. Pre-approval is the next step in the mortgage lending process. This step usually completed after the purchase offer on a home has been accepted by the seller. The pre-approval process requires more information than the pre-qualification. Tax returns, W-2’s or pay stubs along with the details of any “other income” and assets that will be used to purchase a home. All debts must be identified and payment terms disclosed. Getting through the mortgage loan process isn’t a difficult task if you prepare for it. And part of the preparation is getting your credit score as high as possible. While a high credit score is always better, less that perfect credit may still qualify you for a mortgage loan. So, don’t give up without contacting a mortgage lender to discuss your credit score and debt to income ratio. Getting through the mortgage loan process may be easier than you think. If you are considering Tucson AZ or one of the surrounding communities as a future place to live, we can help.